Social media is fairly new. Not more than two decades. In fact, the most popular social media channels came into being only in the first decade of the twenty-first century. And what about social media analytics? This was not even a subject of interest a decade back. Now, you cannot think of running a social campaign without a tracking and monitoring strategy. Since the subject is new, few people are aware. Fewer actually use social media analytics in their company. And those who do, the objectives vary widely. 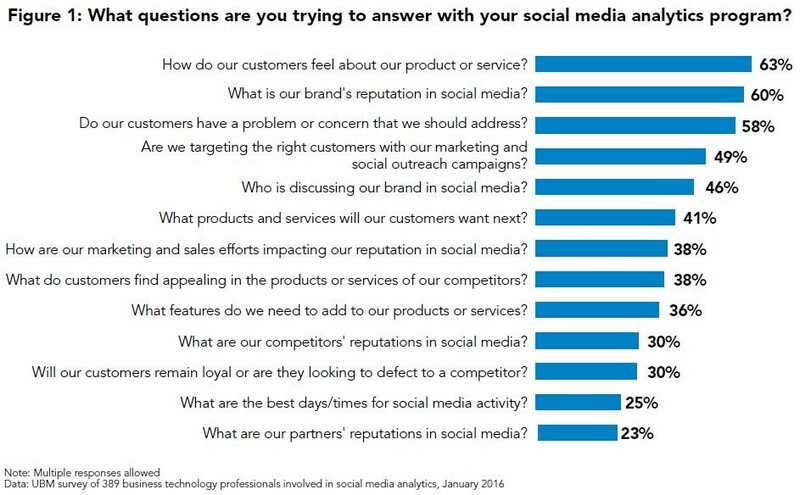 For instance, a social media analytics survey by IBM found that companies used social media for at least 13 different purposes. According to the same research, 47% of organizations expect to increase their spending on social media analytics, and of that number, 71% estimated these increases to be between 3% and 10%. Although the first two problems will be resolved as we go on, I think the last problem is the one that can be solved now with proper training. Despite the lack of standards, many companies, educators, industry leaders, and even universities have created social media analytics courses. And I bring to you some of the most important ones right now. The course is actually a part of Coursera specialization, Foundations of Marketing Analytics Specialization. This specialization has six courses of which the fifth in the series is Introduction to Social Media Analytics. It’s a four-week course covering all major aspects of social media analytics. If you have some background in coding, this course will be even more fruitful. You will also use Python for sentiment analysis and use R language for doing statistical analysis. I personally feel this course is more application oriented than any other you will find on the internet. And you can expect that because it was created by a social media analytics company itself. 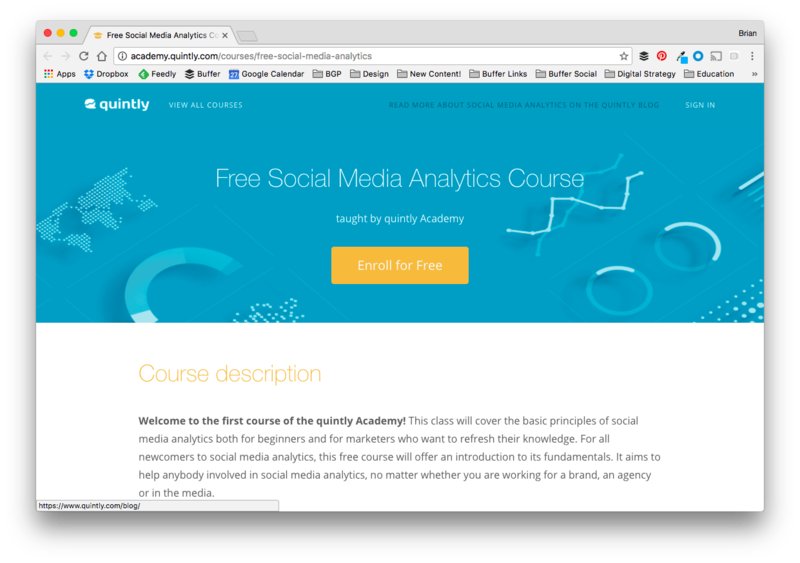 If you haven’t put hands on a social media analytics course before, this free course from quintly is for you. 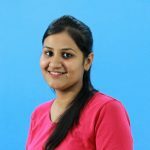 Taught by industry stalwarts, this course talks a lot about strategy and planning for social media marketing. Before it starts talking about analytics, the course will take you through the basics. The course also comes with multiple case studies. It will take you through variety of industries, leaders, and brands. It has 8-hours of video content which comes with free access to variety of resources like handouts, reference material, guides, lecture transcripts and student forums for your course duration. What I like about this course is 24×7 support. You got any question or query? Just post it and there’ll be someone to answer you at any time of a day. Jigsaw Academy will also issue a certificate for you when you complete the course. “What are tweets and the cultural politics of Twitter?” This is how the course descriptions begin. It is one of the most advanced course if your brand is affected or influenced by social media conversations. Have you ever thought about tracking real-time social media data? 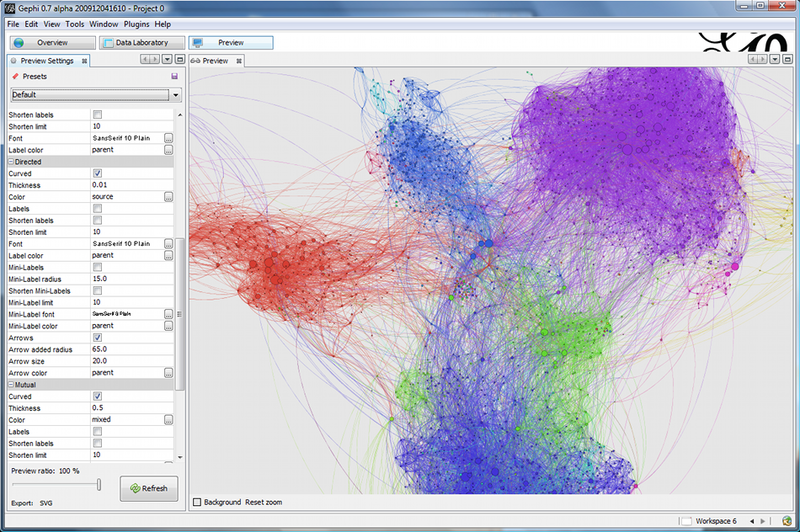 In this course, you will also use an open-graph visualization tool, Gephi, to visualize data networks. 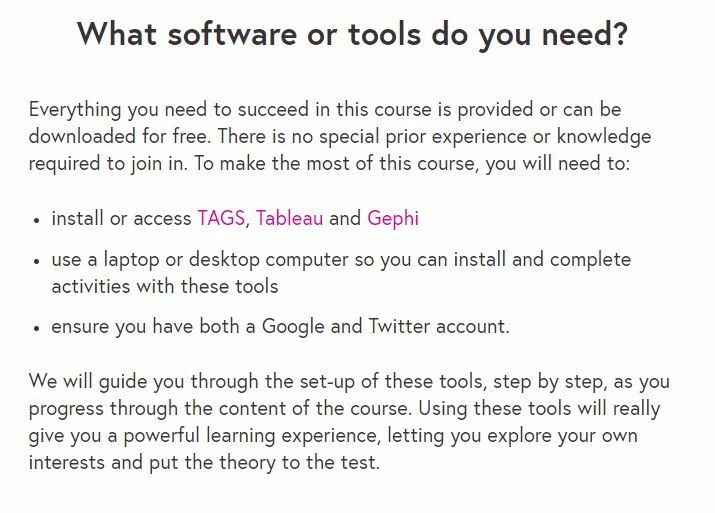 Here’s what you need before you join the course. This is a beginner level course and starts with the basics of social media analytics. Divided in four sessions, it takes you from introduction and campaign strategy to A/B testing and reporting. Unlike other courses in the list here, this one talks about all the social media networks individually: Facebook, Twitter, Instagram, LinkedIn, and Pinterest. Designed in a self-paced format, it has 16 video lectures of 126 minutes. The world is so big. I am sure I missed something. If you have any other course that can make this list, please feel free to write in the comment below. I will add it to this blog post right away.